The ultimate in luxurious urban living, this fabulous 2,776 square foot Somerset House condominium has been beautifully renovated throughout. The state-of-the-art kitchen and baths add the perfect amenities to this stunning home, which is located in a community renowned for its white-glove service, park-like grounds and extraordinary recreational facilities. The 10th floor location allows for sunlight to saturate the primary living spaces and bedrooms, creating a gracious setting for living and entertaining. Designed to complement modern or traditional art and furnishings, the unit opens into a large foyer and offers an expansive living room, a formal dining room and a den/guest room. These three rooms all open onto a private balcony. The kitchen is every chef's dream, complete with sleek white cabinets, quartz surfaces, brand new professional-series Bosch appliances and Porcelanosa-style flooring. The bedrooms offer the utmost in privacy, sited at opposite ends of the home. The owner's suite is introduced by a large hallway, his-and-hers walk-in closets and an expansive bedroom. The bath is finished with the finest modern detailing, with a dual vanity, soaking tub, and gorgeous separate shower. There is a powder room in the main entry hall, a laundry room, more closet space and a pantry just outside the kitchen. The second bedroom is complete with a large walk-in closet and renovated full bath.The Somerset community offers residents and guests every luxury in fine living. There are tennis courts, a beautiful indoor pool, outdoor pool, and a world-class fitness center. There are multiple gathering rooms, a crafts/art studio and regularly scheduled classes and events. The park-like setting is meticulously maintained with blooming gardens year-round.This home includes 2 garage parking spaces, a large storage unit and community parking is abundant. Located in the heart of bustling Friendship Heights, there are restaurants and shops at the doorstep, along with Metro and bus service. Moments to the DC line and Bethesda, this residence enjoys a location that is second to none. 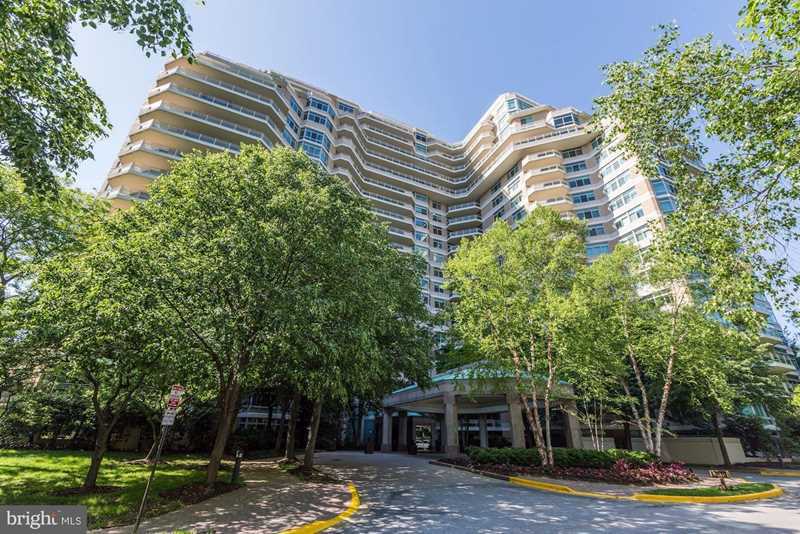 With its stunning renovations, large primary and private spaces, and location in one of the DC area's finest condominium communities, this urban home elevates form and function to the highest level! Directions:Wisconsin Avenue toward the DC Line. Right turn on to onto Somerset Terrace. Somerset community and gates on right. Building is on left side, 5610. SchoolsClick map icons below to view information for schools near 5610 Wisconsin Ave #1006 Chevy Chase, MD 20815.